Ronnie Agnew joined Mississippi Public Broadcasting in August 2011 as the agency’s executive director after a career in the newspaper industry spanning nearly three decades. At MPB, a state licensee, Agnew has oversight of radio and television programming and the agency’s legislative, education and digital initiatives. During his time at MPB, Agnew has successfully overseen the launch of new shows that further the agency’s mission of delivering strong content across all platforms, focusing on issues affecting Mississippi, with an emphasis on early-childhood education, dropout prevent and healthcare. Before joining MPB, Agnew served as executive editor of The Clarion-Ledger, the state’s largest newspaper. Under his leadership, The Clarion-Ledger won dozens of awards for investigative reporting and was among the Gannett Co. Inc.’s most decorated newspapers nationally for coverage of civil rights issues. From his long stint in newspapers, Agnew has brought a sense of urgency to MPB that has led to strong legislative support and an aggressive schedule of new initiatives, including more than 20 hours of local radio programming each week, several new television productions, and an expanded news department. MPB’s education department has broadened its reach as well, implementing Ready To Learn, American Graduate and Between the Lions curricula into school districts throughout Mississippi. Agnew is also active in national journalism circles. He has judged the Pulitzer Prize four times, and is a former diversity chairman for the American Society of News Editors. Agnew also served on the board of directors of the Associated Press Media Editors. He is the recipient of four President’s Rings, which recognized the best editors in the Gannett Co. Inc., and of the Silver Em Award, one of the highest recognitions for journalism excellence awarded by the University of Mississippi. He is also in Ole Miss’s Alumni Hall of Fame. In addition to PBS, Agnew serves on the board of the Association of Public Television Stations and the executive committee of the National Educational Telecommunications Association, and is a member of the Organization of State Broadcasting Executives. Agnew served as an adjunct communications professor at Belhaven University in Jackson. He is advisory board chairman for the journalism program at Jackson State University. He is also on the journalism advisory boards for the University of Southern Mississippi and the Meek School of Journalism at Ole Miss. Agnew serves on many community boards, including being the immediate past chairman of the Mississippi Council on Economic Education. 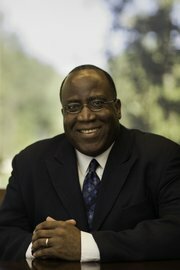 He was named by blackmississippi.com as one of the most influential African Americans in Mississippi. Agnew holds bachelor’s degrees in Radio/TV and English from the University of Mississippi. He is the father of three children. He is Vice Chair of the PBS Station Services Committee, and serves on the Nominating and Corporate Governance, National Policy Advisory, and Diversity Advisory committees.